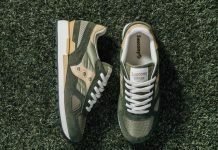 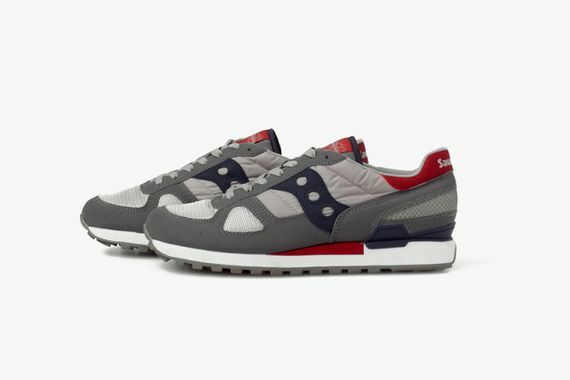 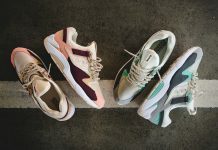 Old friends (we’ll consider 2013 old) White Mountaineering and Saucony are back at it, and their latest creations are based around the classic Shadow silhouette. 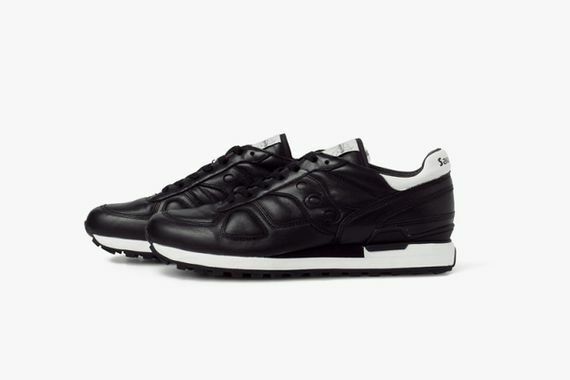 First off, White Mountaineering chose to take the classic runner down a different path, bathing it in black leather with select white accents that give this quite an interesting look that is new and retro all at once. 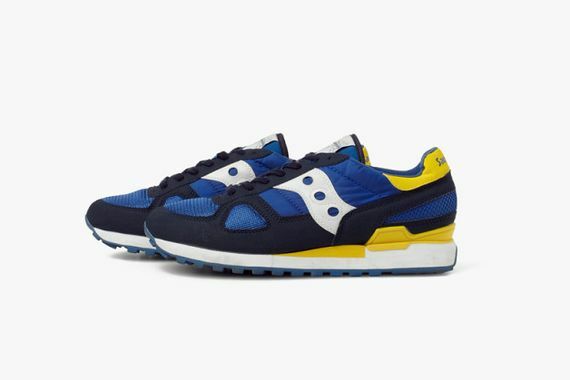 Straying back towards conventional looks, they will also be serving up a couple mesh looks in navy/yellow and tan/red. 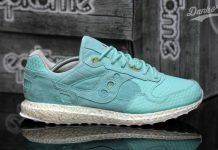 No exact release info as of now, but expect so see them hit shelves within a few months.